Ty Lawson #3 of the Denver Nuggets handles the ball against the Milwaukee Bucks on February 5, 2014 at the Pepsi Center in Denver, Colorado. After his NBA star status crashed, free agent point guard Ty Lawson hopes to get back to his old self on the hardwood and make his parents proud again, too. Lawson averaged 14.2 points and 6.6 assists with the Denver Nuggets from 2009-15, including a career-high 17.2 points per game two seasons ago. The seven-year NBA veteran, however, also had four DUI arrests from 2008-15 and hit rock bottom when he went into alcohol rehabilitation in 2015. After being traded from the Nuggets, he admitted that he struggled mentally and physically while playing with the Houston Rockets and Indiana Pacers last season. There were no struggles off the floor, however, for Lawson with either team last season, sources told The Undefeated. 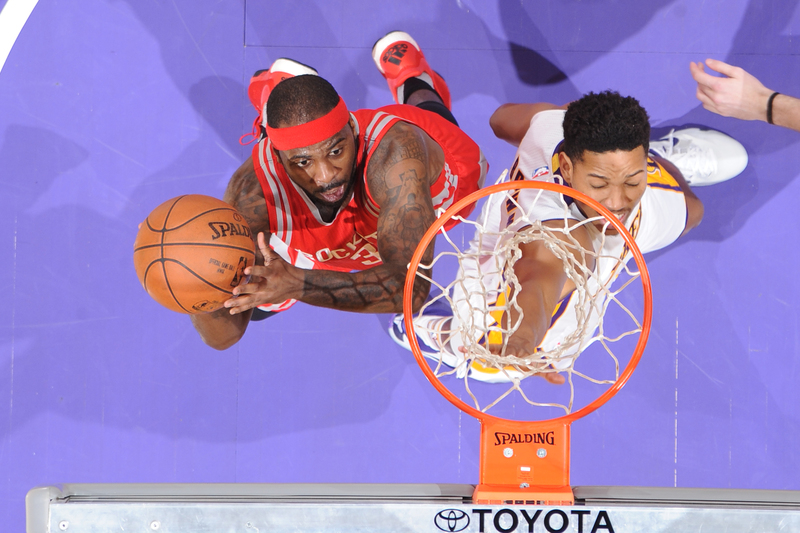 Ty Lawson #3 of the Houston Rockets goes to the basket against the Los Angeles Lakers on January 17, 2016 at STAPLES Center in Los Angeles, California. I’m focused. I’m in the gym every day. I feel like the old Denver Ty Lawson will be ready to show up. 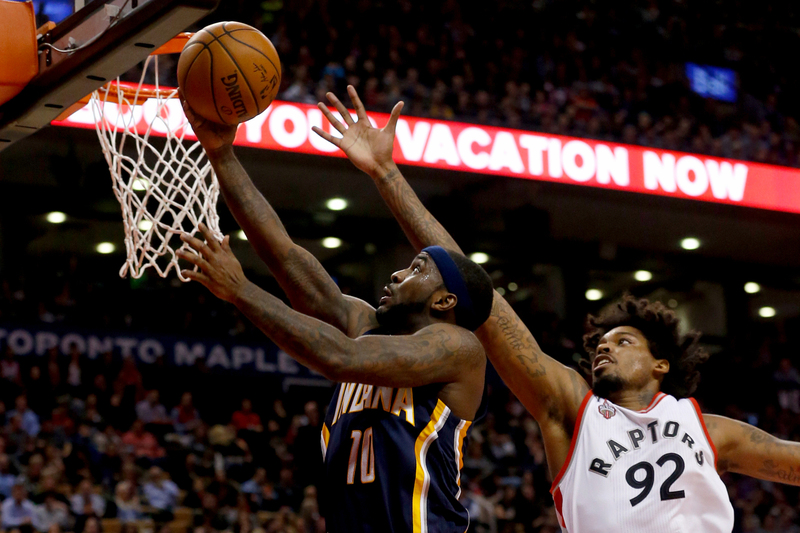 Indiana Pacers guard Ty Lawson (10) beats Toronto Raptors center Lucas Nogueira (92) for a lay up. Toronto Raptors vs Indiana Pacers in 2nd half action of NBA regular season play at Air Canada Centre. How do you relax your mind off the court? I watch a lot of movies. I’ve also started a slipper company. They’re called ‘Sleakers.’ Basically, slippers that look like sneakers. I’ve been going headfirst into that. Something I love is shoes. Also, I can make my own spin on it. I’m learning about the business world. I want to go to USC for business. But they have like the No. 1 business school and people with 4.0s are getting into that school. That’s cool. But learning the business world is the main thing I am focused on right now. My mentor is a big business guy who works on Wall Street. I am going with him when he does different business deals. He is basically teaching me the ropes. If you were go to the Rookie Transition Camp, what advice would you give them? I would tell them to keep your nose clean. The world is the given world, but keep your nose clean and it will make it easier on the court and off the court. Get focused.